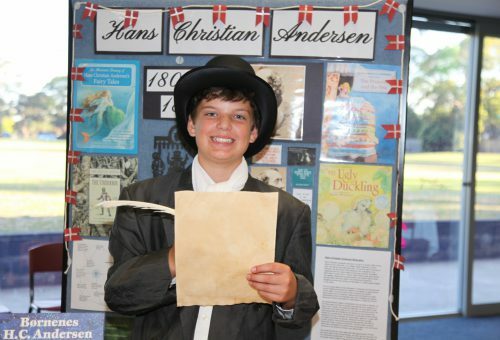 On Monday 7 November we had a visit from Howard Florey, Steve Jobs, Benjamin Franklin, Matthew Flinders, Louis Braille, Albert Einstein and many more notable characters as 6 Black presented “Night of the Notables”. The Night of the Notables is a program in which students engage in an in-depth study of one notable person. The students have been involved in comprehensive research which has facilitated skills of independent learning as well as higher level thinking skills. On Monday night the students showcased their product of deep personal study. They presented themselves in character as their Notable, displayed the Learning Centre they had created and engaged with the audience in a short skit. The night highlighted the hard work that had been carried out by the students and they are to be commended on their excellent participation in this project.